There's no front-end in a headless CMS. It doesn't know and doesn't care how you'll display words and pictures in pages and views. 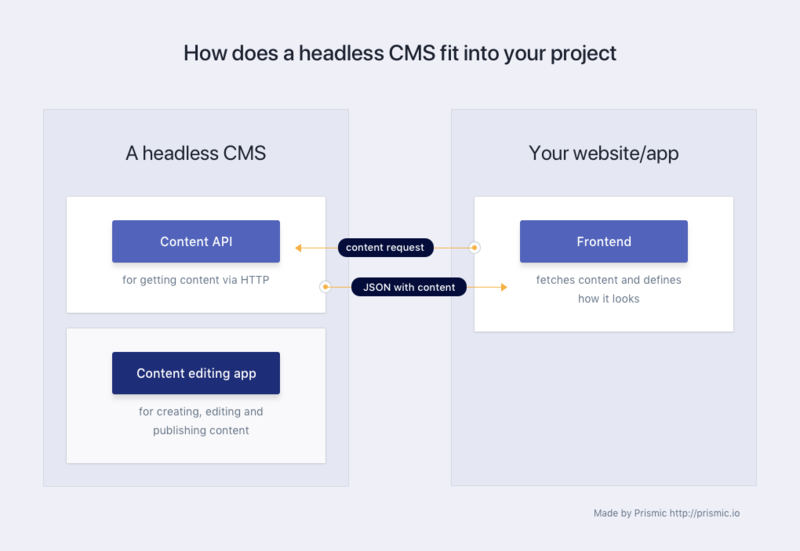 With a headless CMS, the front-end of your project is not a part of the CMS anymore. A headless CMS has no control over the way the content is presented. In other words, you don't get a website out of the box with a headless CMS. It might sound like it's a bad thing, but in fact it isn't. Traditional old-school CMS: WordPress, Drupal, etc. If there's no direct benefits that you gain from a headless setup, there's little reason to switch. Hardcoded content: Works fine for developers. Works fine if the content isn't changed often. Doesn't work at all when a marketer on an editor needs to be able to change things on their own. Use carefully. Surprise: there's none. As obvious as it sounds, everything depends on a specific project and its goals. The best thing that you can do to find a good one for your needs is to define the criteria that make sense for you and then do your own research. Hosting & maintenance. Are you looking for a cloud-hosted tool or do you want to host and maintain the servers yourself? SDKs. Are your preferred tools and languages supported by the CMS? Docs. Is it easy to get started and find your way around? Editing app features. Does it cover the needs of your marketing/content teams? API features. APIs can greatly vary in terms of their functionality, so it pays off to define what you expect from it upfront. Support. Will the people who created the CMS be able to help you if/when something goes wrong? Price. Paid, free, or open source? 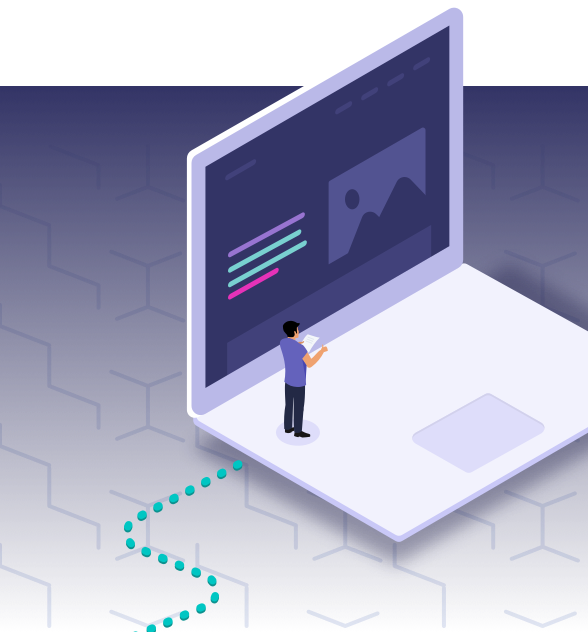 Full disclosure: This article is produced by Prismic, a CMS with an API and a CDN that aims to simplify editing content on the internet and to make work enjoyable for developers, marketers, and content teams. See the Prismic FAQ for an intro to Prismic.